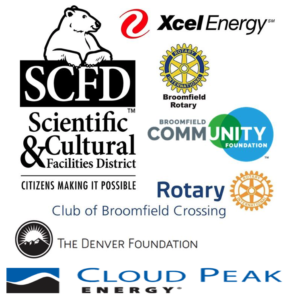 We are excited to collaborate with local schools and provide resources to educators. Schedule time for your class to come to visit the museum any day of the week. 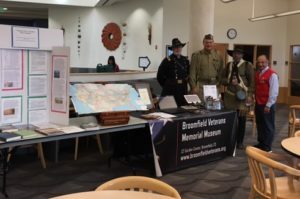 Veterans will provide tours through the museum, which covers every major U.S.-involved war along with special exhibits on women in the war, Colorado’s 10th Mountain Division and more. 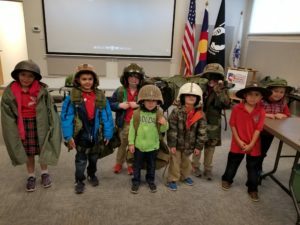 Students will enjoy an interactive experience that includes trying on military gear and learning the stories of veterans with local ties. Please fill out our online request form if you would like to schedule a tour. Invite a veteran to present to your class on a variety of history and military topics, from the Civil War era to present day conflicts. We will work with you to provide an informative presentation tailored to your needs with the added perspective of a veteran who has endured the challenges of war. In our newly expanded downstairs, we house a research library with a large volume of military books and DVDs covering every era in our nation’s military history. Books and DVDs may be checked out by patrons. Our library also includes an extensive collection of veteran interviews to view and hear first-hand accounts of life as a soldier. Additionally, we have volunteers on hand to assist individuals with research projects.